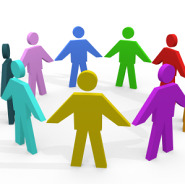 The Patient Participation Group (PPG) for Fireclay Health aims to be a representative group of patients who offer views on practice developments, make suggestions for improvements and feedback concerns. PPG members are patients or carers of registerered patients who use the practice and want to ensure the highest possible standards of care and support for all patients; they raise questions, look at audit results, review patient feedback and act as a sounding board for new ideas. We encourage more participants to come forward from both practices. We would particularly invite interest from patients of an ethnic minority background and/or under the age of 34 (particularly males), who are currently under-represented on the PPG. This ideally involves giving an hour of your time to attend meetings at the practice four times a year in the evenings. However we also occasionally send email requests for feedback - if you would be interested in just this level of involvement, do let us know. If you would like to join our PPG then please click the link below to open the sign-up form, complete all the fields then click Send - please check for the message Your form has been successfully sent which should appear above the Send button to be sure your completed form has been submitted to us. If you prefer, you can download the sign up form as a pdf document, print it out, complete it and return it to the practice. We will be in touch shortly after we receive your form at which point you can provide more details as to your potential involvement (i.e. whether you would be interested in attending meetings or just being part of a virtual group) and particular interests. Please note that no medical information or questions will be responded to.